Treatment of gynecological diseases Pels Gynecology buy store of traditional medicine. Availability. Fast shipping. Efficiency Pelovita Gynecology in this area is provided by the combined action of the complex. Due to the high salt concentration is provided a drainage effect. 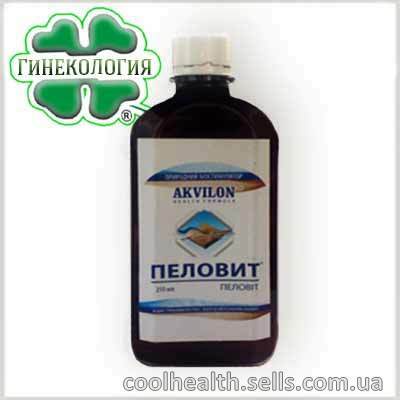 With its anti-inflammatory, decongestant, cleansing of pus and analgesic properties. Pels Gynecology at the same time provides a powerful bio-stimulating effect on the damaged tissue and inflammation of the mucous membranes, providing them with rapid epithelialization and thereby having a healing effect. This is extremely important and necessary in protracted chronic inflammatory disease in women. Buy Pels Gynecology You can shop in traditional medicine. chronic adnexitises, ovarian hypofunction and intertility - irrigation, swabs and electrophoresis. With irrigation and tampons pels Gynecology diluted 1: 1 (+ 39-40 ° C), the first three procedures in the subsequent use undiluted. Electrophoresis was carried out at both poles: the solution is applied to the drug pads from the filter paper, the size of which corresponds to a hydrophilic strips electrodes. Procedures daily, for 15 days, or a one-day break after every two days. After each procedure, rest for 40 minutes. During menstruation procedures continue. In chronic inflammatory diseases of the uterus, as well as violations of reproductive function after surgery, except for the method of introducing Pelovita Gynecology by electrophoresis on abdominal-sacral type carried electrophoresis Vaginal Pelovit Gynecology diluted 1: 1 in the form of heat, in the amount of 120-140 ml syringe Janet. Electrodes are applied to the sacrum, and the suprapubic area, the current density of 0.05 - 0.08 mA / cm. Duration of treatment of 15-20 minutes. Course: 15-18 procedures daily. Pels buy. Effective combination elektoroforeza with vaginal vibration massage at a frequency of 65 to 68 Hz. Within 10-15 minutes.